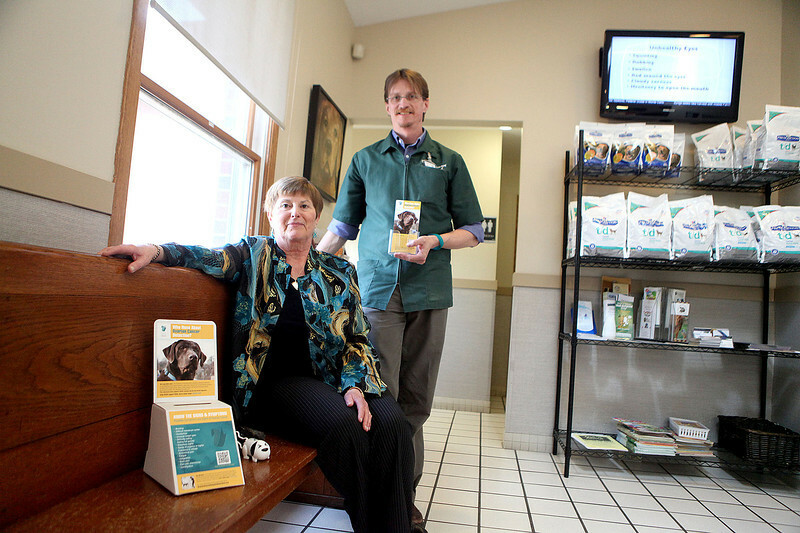 Vallie Szymanski of St. Charles, executive director of Ovarian Cancer Symptom Awareness, and Dr. Kurt Klepitsch of the Gateway Veterinary Clinic in St. Charles, which is the first member of OCSA's Veterinary Outreach Program. OCSA is sponsoring Ohlin, a chocolate labrador retriever being trained to identify odorants associated with ovarian cancer cells. Ohlin is involved in research being led by the Penn Vet Working Dog Center and the Monell Chemical Senses Center.